Thomas Errol Dewey age 79 of Heber Springs passed away June 12, 2018. Born March 19, 1939 in Emmett, Idaho he was the son of the late Raymond and Violet Rogerson Dewey. 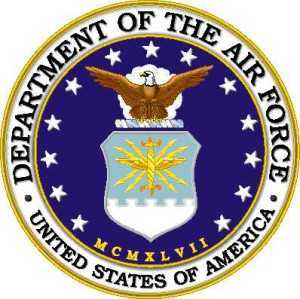 He was a United States Air Force Veteran serving his country from 1956 – 1960. Thomas recently had made a profession of his faith. His hobbies included building airplanes, fixing motors, and especially Cushman motor scooters, raising livestock, fishing, golfing and spending time with his family. He also loved spending time with his buddies drinking coffee at Burger King. He enjoyed feeding racoons vanilla wafers out of his hand most every evening from his front porch. He leaves to cherish his memory his wife, Deana Lea Russell Dewey; three daughters, Stephanie Penny Jean Ratliff and husband Brian; Heather Lea Gilbert and husband Randy; Heidi Dawn Eubanks and husband Chris; one brother, Don Dewey; two sisters, Violet Rae and Dona; eight grandchildren and many, many friends. A private family memorial service will be planned at a later date. Tom always thought of others. He didn't like to go to funerals and didn't want others to have to do so on his behalf.